The World Photography Organisation (WPO) has announced this year’s juries of the Sony World Photography Awards. The announcement comes just three months ahead of the closing date for the 2011 Awards (5 January 2011). The Sony World Photography Awards is the most comprehensive photography prize in the world with the broadest range of categories open to photographers of every level. There are three juries selected to judge the three awards programmes of the Sony World Photography Awards. One to judge the Professional categories, a second for the Open categories and a third for the Student Focus competition. The Honorary Judging Committee, which judges the Professional awards categories, consists of a panel of influential photography professionals from around the world. Chaired by Francis Hodgson who is the photo critic of the Financial Times, the Honorary Jury 2011 includes esteemed names ranging from the Photography Editor of British Vogue, to the Visuals Editor of New Yorker Magazine, to curators and academics from some of the world’s leading photography institutions. 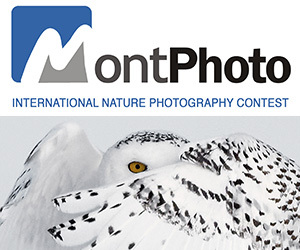 All jury members are selected from the World Photographic Academy, part of the WPO. These 12 members will judge all 15 categories of the Professional awards according to their expertise. Following the category selections, the judges come together to select the one overall winner from all 15 category winners, the L’Iris d’Or / Sony World Photography Awards Professional Photographer of the Year. The Official Open Selection Committee, will judge the 10 Amateur categories. Image inspectors from iStockphoto, the world’s largest stock imagery agency, will narrow the thousands of amateur entries down to the top 50 in each category. The iStockphoto image inspectors are then joined by two photographic experts from Sony and the Chair of the Honorary Judging Committee, to make the final selection and choose the overall Sony World Photography Awards Amateur Photographer of the Year. A third jury for the Student Focus competition (formerly announced in July 2010) is also selected from the Academy members including Roger Tooth, Head of Photography, The Guardian and Eder Chiodetto, Curator of Photography, Museum of Modern Art, São Paulo. The Student Focus Jury will view entries by university students who have answered the 2011 student brief of Exposed. The brief is based on an exhibition at the TATE Modern and is a direct result of a partnership between the WPO and Young Tate Online. The Professional competition is for professionals and serious amateurs or enthusiasts. Within the Professional competition, three distinct sectors of photography are awarded. They are: Commercial; Fine Art, and Photojournalism & Documentary. Each genre is equally recognised by judges. Submissions must be based on a body of work and contain a minimum of three images and a maximum of 10. Both published and unpublished works may be considered. In the Commercial categories judges will be looking for photography that has primarily been commissioned for commercial intent, the purpose of which is to sell products or services. The sub-categories are: Campaign; Travel; Lifestyle; Still Life; Fashion. In the Photojournalism & Documentary Category, judges will be looking for imagery that tells a story; from capturing current news or a global issue through to chronicling historical and worldwide events and popular culture. The sub-categories are: Current Affairs; Contemporary issues; People; Arts & Culture; Sport. In the Fine Art Category, judges are looking for photographs that are created in accordance with the creative vision of the photographer as an artist. The sub-categories are: Current Affairs; Contemporary Issues; People; Arts & Culture; Sport. In the Open Category, which is open to everyone and is judged on a single image, the sub-categories are: Action; After Dark; Architecture; Arts & Culture; Fashion; Nature & Wildlife; Panoramic; People; Smile; Travel. JOIN OVER 99,989 and receive weekly updates!